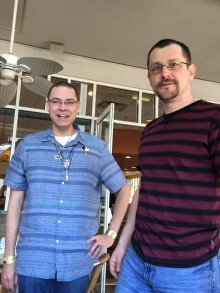 PHOENIX – Jeremy Frey (Passamaquoddy), a basket artist from Indian Township, Maine, won the 2015 Best of Show Award at the 57th annual Heard Museum Guild Indian Fair and Market. During the 2004 Celebration of Basketry and Native Foods Festival, the Heard bought a first-place-award-winning basket made by a young Jeremy Frey. 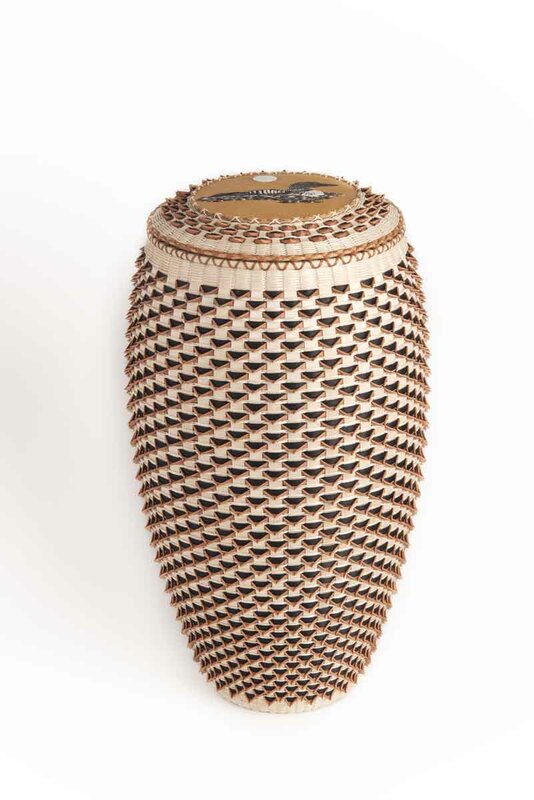 This stunning basket with a porcupine-quill loon on the lid won Passamaquoddy basketmaker Jeremy Frey his second Best of Show award at the Heard Museum Guild Indian Fair & Market on March 6, 2015. Heard and the SWAIA in Santa Fe and now he has won at the Heard again with a basket that has a loon pictured in quill work on the lid,” said Ann Marshall, Heard Museum director of curation and education. Pottery: Daryl Whitegeese (Pojoaque/Santa Clara Pueblos), Black Bear Paw Double Shoulder Water Jar. The Andy Eisenberg Awards honor excellence in contemporary jewelry. The first place Eisenberg Award was presented to Nelda Schrupp (Pheasant Rump Nakota First Nation) for the necklace, “We Still Here.” The second-place Eisenberg Award was presented to Keri Atumbi (Kiowa) & Jamie Okuma (Kiowa/Luiseno/Shoshone). A total of 645 artists participated in this year’s fair, held March 7-8 at the Heard Museum in midtown central Phoenix. The 58th annual Heard Museum Guild Indian Fair & Market will take place on March 5-6, 2016. 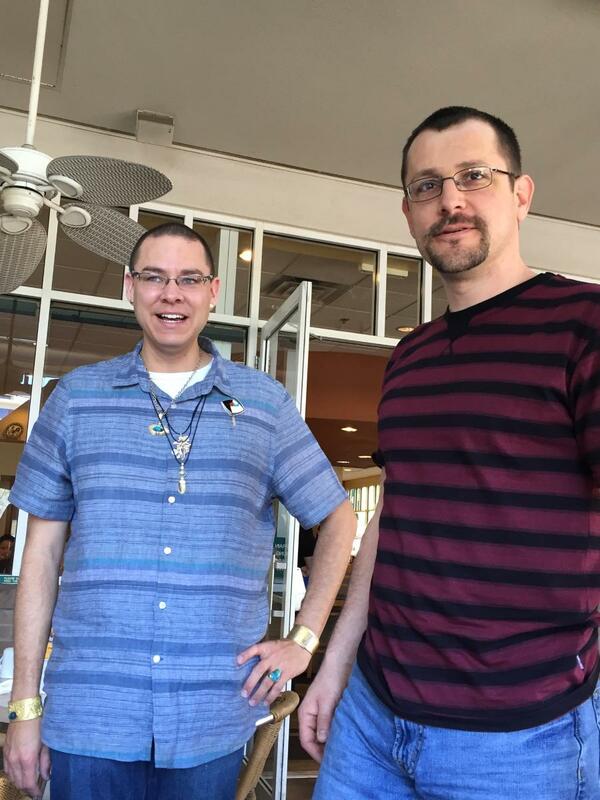 2015 Best of Show winner Jeremy Frey (Passamaquoddy), right, joins Kenneth Williams Jr. (Arapaho/Seneca), the 2014 winner, in Phoenix March 5, just before the start of the 57th annual Heard Museum Guild Indian Fair & Market, March 7-8, 2015.